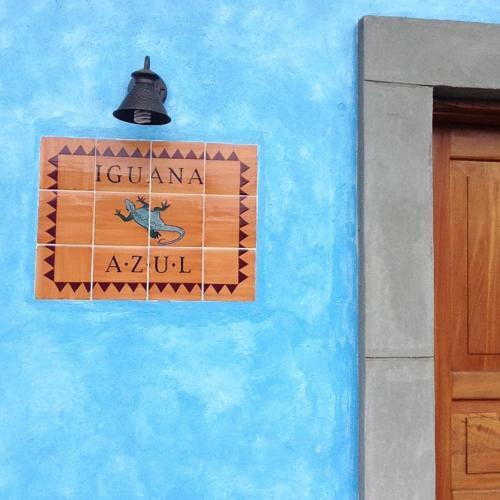 Lock in a great price for Iguana Azul – rated 9.4 by recent guests! clean, simple but very considering facilities such as hot water for shower, free pure drinking water, plenty of information for visitors. 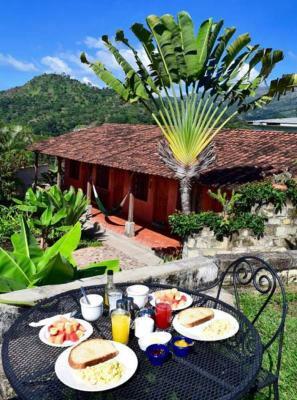 books and patio, good wifi connection, security guard at night...... Best of all, their restaurant La Casa de Cafe offers great food which is healthy, tasty and wholesome. Not cheap but great value. Must try. The staff were very very attentive and helpful. They all went above and beyond. Everything was very clean in all the private and shared areas. 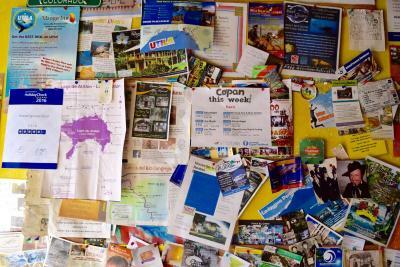 There was a lot of helpful information posted in the common area about the town. very friendly and helpful owner, city center is walking distance from the hostel (and the ruins as well, like a 35mins walk), nice hostel design, Café next door serves amazing breakfast! Great place with wonderful rooms, breakfast and WiFi. 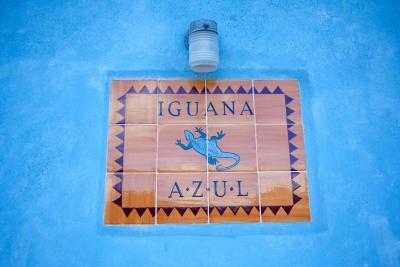 This was my third time at Iguana Azul, and as always, my stay was superb. I have lived in Honduras for 10 months and have finally declared their garden restaurant my favorite place in the country. I absolutely love this place! Super clean and cute. Great showers. Restaurant next door has great views, and good food for okay prices. 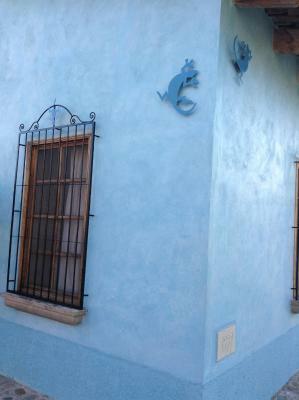 You have to try the amazing breakfast next door at the Iguana Azul's attached cafe! 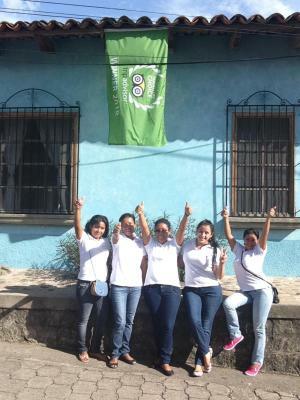 The staff is extremely helpful and has great advice about restaurant and things to do in Copan! Howard was a great help in our plans to travel to Tegus from Copan. Really friendly staff, very CLEAN, great location. I highly recommend this place. 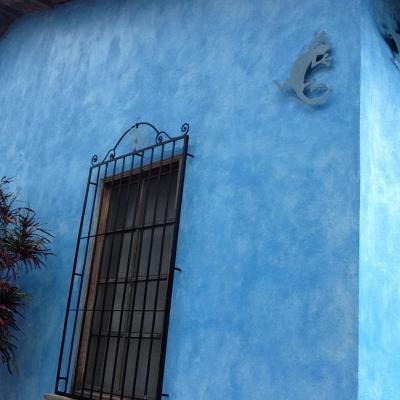 Featuring free WiFi and a restaurant, Iguana Azul offers accommodations in Copan Ruinas. Free private parking is available on site. Certain rooms feature a seating area for your convenience. 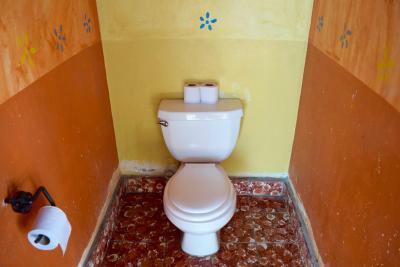 Every room is equipped with a shared bathroom. 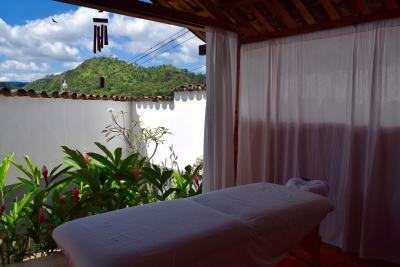 A Spa Pavillion is featured. 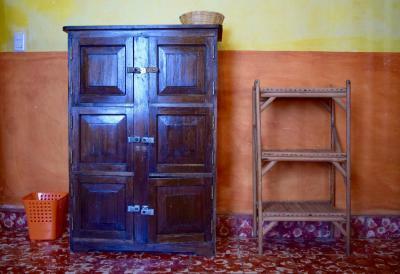 There is a shared lounge and a communal fridge is available at the property. Luggage storage and shuttle tickets offered. 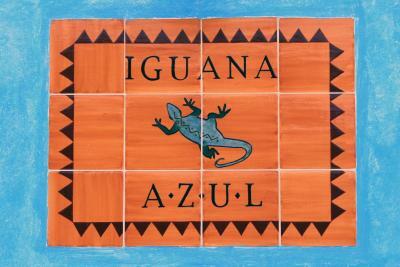 When would you like to stay at Iguana Azul? 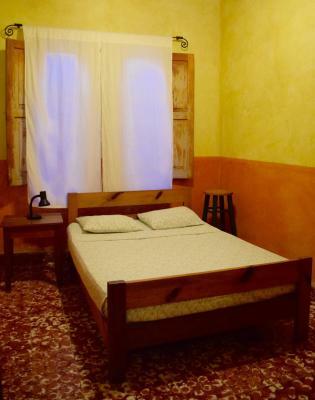 This double room has a writing desk with chair, night table with reading lamp, large windows. This dormitory room features a writing desk, chair, large windows, lockers. 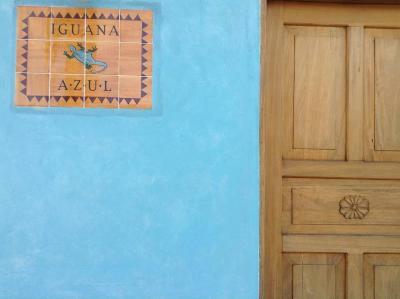 House Rules Iguana Azul takes special requests – add in the next step! 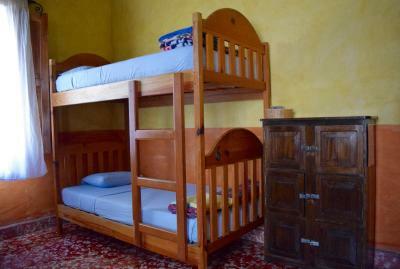 One child under 16 years is charged USD 8 per night when using existing beds. Please note this property requires a confirmation e-mail one week prior to arrival when possible. 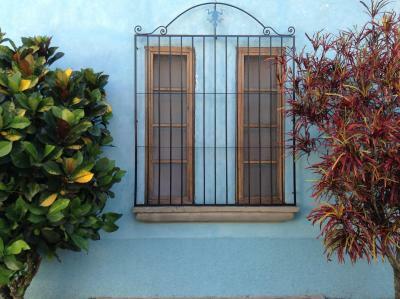 The moskito net instead of real windows. Really helpful, full of information about what to do, where to eat, where to relax. The staff is really sweet. No kitchen. It was a bit far out than the other hostels. Everything else! The beds were comfortable. 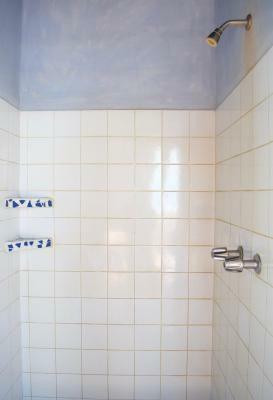 The showers were THE BEST SHOWERS EVER. The staff were really helpful! I got really lovely people in my hostel room so that was nice too. And they provide you with a towel which was an amazing surprise! 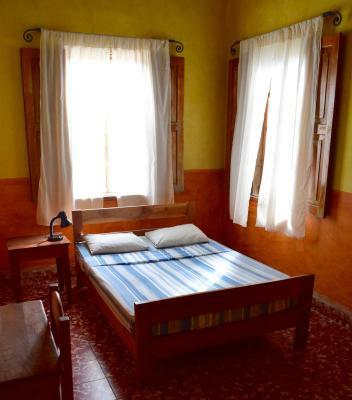 If I could pick up this hostel and take it with me everywhere I go I would. nothing, if there is a kitchen area to use will be better. 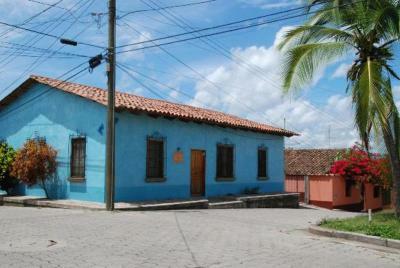 The reception,a walking distance to Copan ruins, there are plenty of bathrooms to use, the bed is comfortable. The lack of a kitchen in any hostel kills me, can a hostel even be called a hostel if there is no guest kitchen? Other than this no complaints would stay again. Really liked that there was a hand washing sink as well as a clothesline and that the staff let you know up front that you could use these. The bathroom, sink, toilet set up was good as there was never any wait for these. The only negative was that we had a room attached to the small patio area. When people sit there and talk until late at night it's like they're sitting next to your bed. Didn't bother us. Every details. Mr. Howard has done very good job. This Hostel really sets the standard on how small Hostels should be: good room, friendly staff, great showers (hot! ), everything super clean and tons of information. 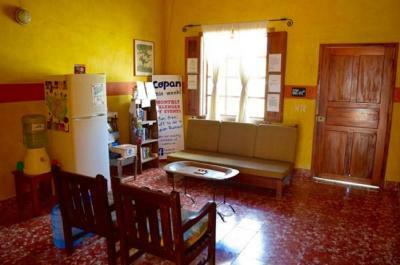 One of the best Hostels we stayed at in Central-America, highly recommended! We didn’t mind too much that we had to go next door to get the door open but understand if it’s an inconvenience for some. 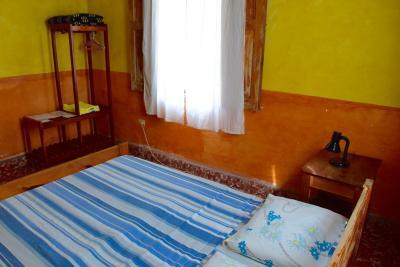 We had a double room with a comfy bed, clean shared bathroom and the common space with all the info you need. The owners are really nice, very knowledgeable and we had interesting talks. 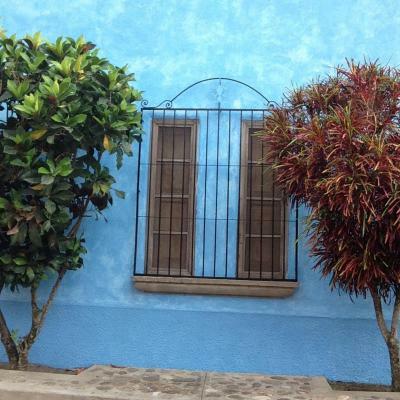 We could use the common area of both Iguana Azul and Casa de Café with hammocks and a garden. Food at the café is really tasty and all homemade, therefore also bit pricey. 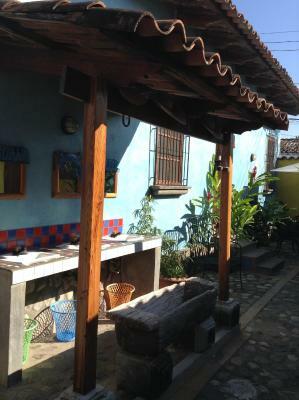 A really nice place in Copán, we‘d definitely go back. 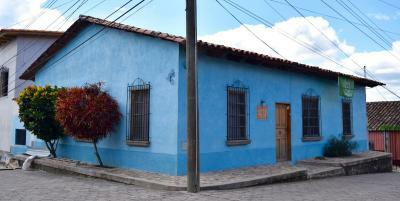 The staff were very nice and it was a quiet hostel to rest out of the main part of town. Kind people and service, very good breakfest. Could get many information. 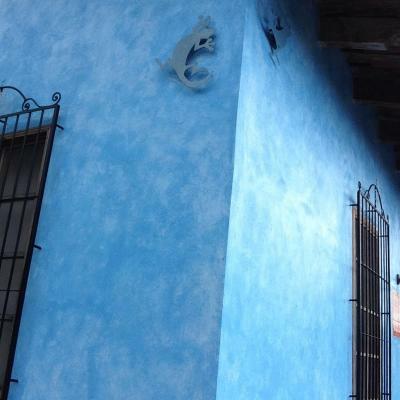 The food at casa de cafe is the best in all of Copan. Made with love. 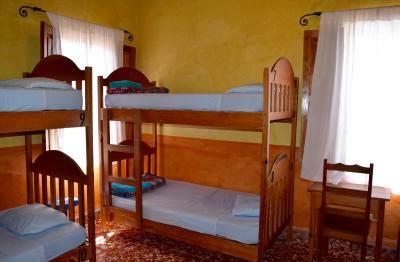 Same price as other hostels with comfort of 4 star hotel! 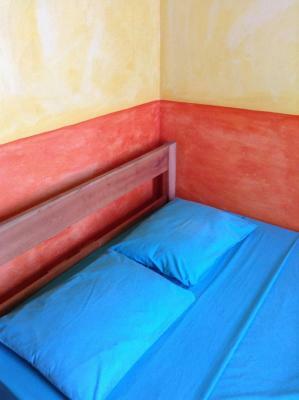 Didn't know it was a backpackers hostel with public bathrooms and toilets - thumb down for that, I like my privacy. They were quite clean though. Also the rooms were next to the lobby so you could hear everyone chat away through your door.